An exquisite rendering of a Hudson Valley family farm, as detailed and colored as a Persian miniature, from Philip (English/Colgate Univ. ; The Road Through Miyama, 1989). 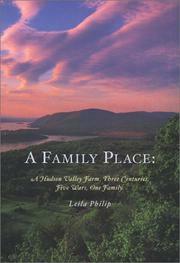 Since 1732, Philip’s family has had a farm in Columbia County, New York. Talavera, the farm mansion built by her forebears the Van Nesses, is where her mother lives today, though precariously. Maintaining a farm on such desirable property is tough. The pick-your-own apple and pear operation the family had run for the past few decades produces too little income these days to contend with high taxes and the cost of labor and agricultural inputs. The thought of losing Talavera is crippling to Philip: “I know where I am when I am here. I am home.” Attempting to fathom her attachment, the author reads the wonderfully complete record of diaries and business accounts and work orders that comprise the family archive. They provide a remarkably clear picture of the farm, starting from the years preceding the Civil War. Although the gentleman who built the house was a bit of a local grandee, the Van Ness/Philip family were not country squires, but working farmers who tended orchards and hog operations, horses and field crops. The letters so lovingly kept also reveal a cast of family characters: “The wild aunt, the radical aunt, the aunt who had been forgotten altogether. All had lived at Talavera and had left their mark.” There are rectitudinous men and women, and there are black sheep: “Gaston was sent out of the country for a while until the affair settled down.” And while Philip comes to recognize that Talavera is much a part of her identity, she also begins to understand the Van Ness/Philip brood were a footloose bunch that rarely had a boodle, and if she were forced to surrender Talavera to development, her ties would never be cut. Philip’s family history is alarmingly transporting, and her sense of place so rich you can taste it.